The DJ Pro headphones are the top-of-the-line cans from SMS Audio with their over-the-ear design, 40mm drivers, fold-able hinges, and comfortable leather with memory foam earpads. Even though they are advertised and designed for DJ&apos;s, we&apos;ll take a deeper dive in our video and written reviews to let you know how they truly hold up under pressure. SMS Audio is the new headphone brand on the scene brought to us by none other than super-business-mogul 50-cent. 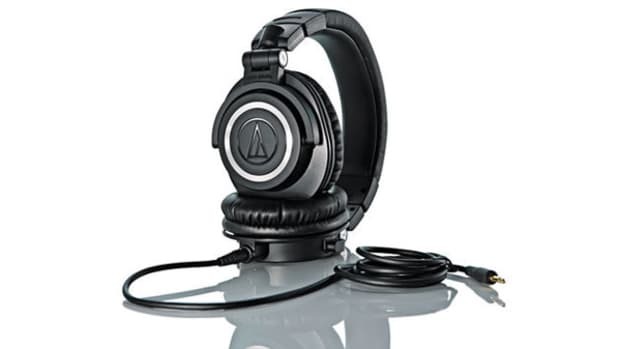 The SMS Audio lines of headphones come in many different shapes, sizes, and colors to suit many different listening needs and monitoring styles. 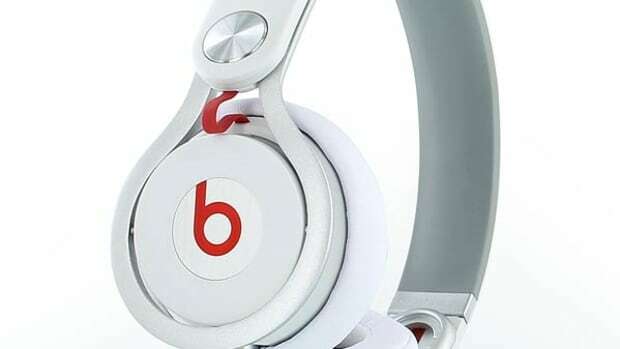 Many people see the SMS Audio line as a direct competitor to the famous Beats by Dre headphones as they share similar properties and styling cues and are aimed at the same market space. For the purpose of our DJ-related reviews, we will take a look at the SMS Audio DJ Pro headphones and see just how good they hold up during DJ performances and for other all around listening needs. As soon as you open the box, the SMS Audio DJ Pro Headphones have an over-the-ear design with a “thick” and durable feel that looks like they will work nicely in the DJ booth. DJ Pauly D seems to think they work great for DJ’s as he has his own special edition of these same headphones that come with a Pauly D poster and the DJ Pauly D logo on the top of the earcup. 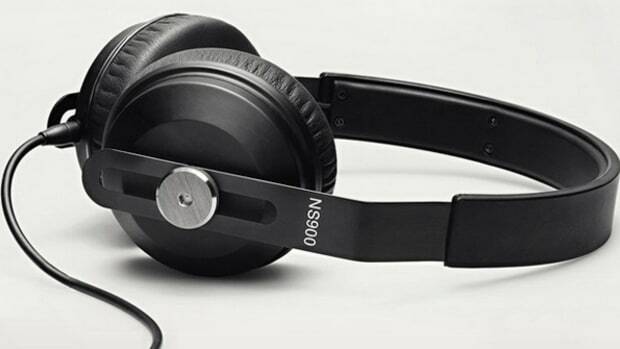 The SMS Audio DJ Pro headphones come in shadow black (as reviewed and pictured) or City Grey. The DJ Pro headphones are the top-of-the-line set from SMS Audio with their over-the-ear design, 40mm drivers, fold-able hinges, and comfortable leather with memory foam earpads. These headphones are made up of mostly plastic but they have a very thick and durable feel to them that makes them feel like they will last. I also assume that they went with plastic on the materials in order to save on weight. The SMS DJ Pro headphones look very bulky but they are really lighter than expected when in use. Overall the looks are sleek and tough with top quality materials for added comfort. 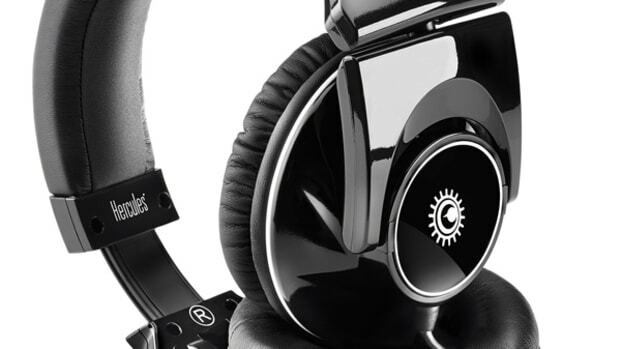 The SMS Audio Pro DJ headphones have a bulky look to them to let you know they can stand some abuse even though they are plastic, but they are actually light on the head making them ideal for long listening or DJ monitoring sessions. At the top, the padding on the headband is very thick and wrapped in double-stitched memory foam leather which provides excellent cushion for the top of the head. The top of the Headband has a lot of give and flex to it without creaking or cracking. Underneath the leather and down the actual sides that connect to the earcups (a common point of headphone failure) are all plastic. This is one of my major issues with the Pro DJ headphones as the hinge is definitely the place that these headphones will end up cracking first. 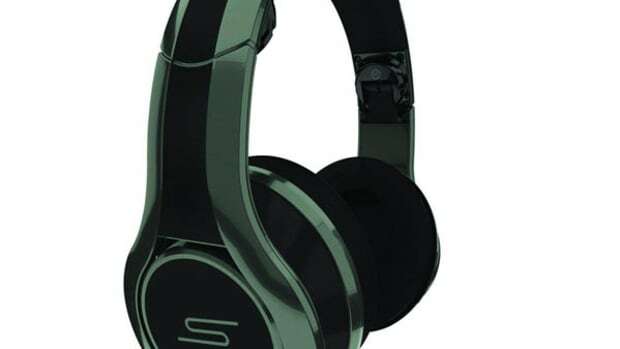 The SMS Audio Pro DJ headphones are mostly made out of plastic with a small plate of metal that allows the headphones to extend for larger heads. This plate of metal attaches to the plastic hinge mechanism that allows the headphones to fold for transport/storage or swivel for DJ monitoring (one ear on; one ear off). On the inside of the headphones each earcup has an R or L printed in grey on the hinge to distinguish the earcup side. The earcups are slightly angled and the cable that protrudes from under the selected earcup will angle forward slightly towards the device in use. The earcups on the SMS Audio DJ Pro headphones sport over-the-ear style 40mm drivers which were big enough to cover my whole ears very comfortably. Usually 40mm drivers won’t fit over my big ears, but the DJ Pro headphones have big oversized and super-soft leather earcups that provide some of the best passive isolation I’ve tested which prevented outside nioses from interfering with my monitoring or listening needs. Once again, the leather earpads are very-very soft and they felt really nice on my ears and head. The earpads were extremely comfortable throughout long periods of DJ use and while watching TV shows on my laptop. We tested these headphones on various DJ Controllers and Mixers and the monitoring volume of the DJ Pro headphones was adequate in the loud DJ booth. The SMS Audio DJ Pro headphones come with both a black coiled 3ft cable (that can stretch up to about 9ft in full length for DJ use) and a blue 3ft straight cable that has a one-button remote and microphone built-in for smartphone usage and one-touch dialing. 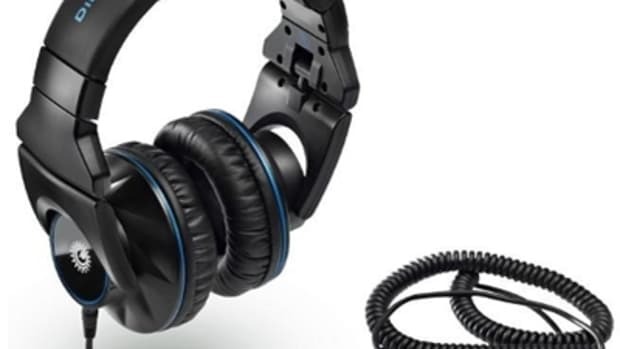 The headphones also come with a nice black and blue hard shell carry case that fit the SMS Audio Pro DJ headphones nicely when in their folded position. Be sure to use this case when transporting these headphones from place to place to protect the plastic housing from any unnecessary bumps or scrapes. 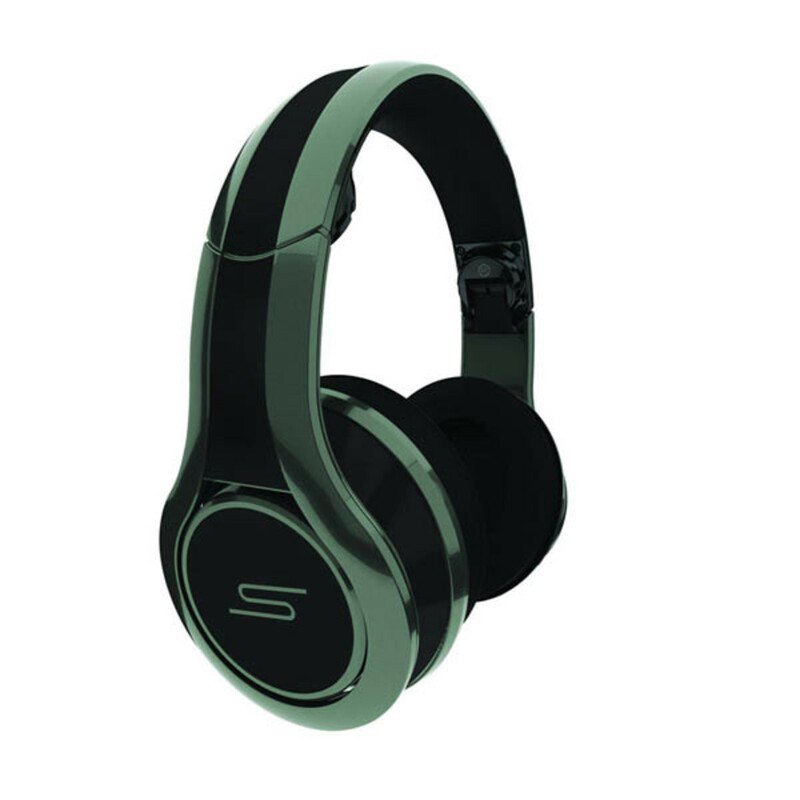 A nice feature of the SMS Audio DJ Pro headphones is the ability to connect additional headphones to them to share the music or listening experience with another set of headphones. At the bottom of each earcup there is an 1/8th-inch output connector so that users have a choice of which earcup they want to plug in their audio source and they can also now daisy-chain additional headphones to the free/open 1/8th-inch port to share the sound. This is a really cool feature that will allow DJ’s to share the monitoring experience during performances or for casual users to share whatever they are listening to with a nearby friend. During our tests of this feature, we found that the sound was still more than adequate and it was also surprisingly loud in both sets simultaneously. The Sound quality of the DJ Pro headphones is great. The SMS DJ Pro headphones have pretty deep bass that sounds both warm and accurate at the same time. The Bass doesn’t rumble as much as I thought they would and the bass is more round and full without being too rumbly. The highs and mids are really clear and legible with a good balanced EQ between all three ranges. The earcups have 40mm Quiescent PNC drivers that perform well with accurate reproduction of the lows, mids, and highs. Even though the bass is slightly heavier than the mids and highs, none of the bass actually drowns out the highs or the mids, even at the higher volumes. 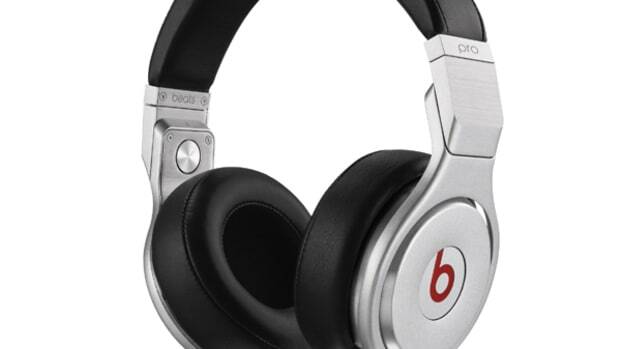 These headphones remind me of a set that could be used for DJ-use as well as studio-use because the sound is somewhat balanced for accuracy while still providing the bass just a little more edge so you can feel what you are listening to. The 40mm drivers performed well enough to produce very loud sound without distortion or feedback when in the DJ booth. Even at super-high volumes, distortion was still tamed and tolerable throughout our 3-hour stress test. After our testing, we found that the SMS Audio DJ Pro headphones are a formidable headphone for both the DJ booth and for everyday listening needs. The DJ Pro headphones are extremely comfortable and lightweight for extended use with the fold and swivel hinge design for easy transport, storage, and monitoring. The SMS Pro headphones also provide accurate sound reproduction with great sound isolation and low leakage so the sound stays in the earcups where it belongs. The SMS Audio DJ Pro headphones also sports the ever-so-popular dual inputs so users can daisy-chain additional headphones to share the music with a friend and they come with both a coiled heavy-duty cable for DJ use and a straight cable for smartphone and everyday use. 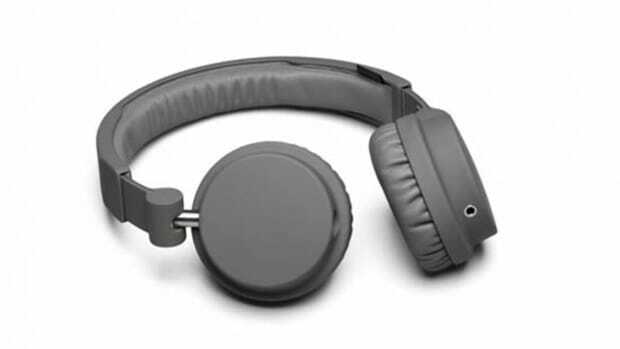 The only minor gripes that I could find with the SMS Audio DJ Pro headphones is that they are made up of mostly plastic throughout their construction including the hinge and joint where the earcups meet the headband on each side. Even though the plastic is thick and seems durable, a metal hinge, headband, and arms would probably make these headphones indestructible. As it stands though, these headphones should be kept in the hard case when moving from one place to another and I’d also be careful not to drop them too many times when out and about. It’s a shame that the hinge isn’t made up of metal because this is likely the spot these will break over time. To be fair to SMS Audio, they probably made these plastic to save on weight because they do work nicely through long listening sessions without bogging down your head. The all-plastic construction aside, I am going to recommend the new SMS Audio DJ Pro Headphones to any DJ or performer who wants a full-sized over-the-ear set of headphones with a comfortable and lightweight monitoring experience that can be used for both DJ performances in a loud DJ booth and for all other listening needs. The SMS Audio DJ Pro headphones are worth a look for any DJ who’s looking for one set of headphones to encompass all listening and performing situations.